Douglas was cited as third accused among the ten listed in the police charge sheet. Chennai: Former Sri Lankan minister Douglas Devananda on Saturday told the sessions court here in a video-conference trial that he was in way connected with the killing of a man at Choolaimedu in south Chennai and sought discharge from the murder charge registered against him by the police for that shooting incident three decades ago. When the case came up for hearing before IV Additional Sessions Court, Douglas’ counsel R. Rajan filed an affidavit detailing his stand and seeking discharge from the murder charge. Douglas, originally cited as the third accused, is now facing the trial through videoconference from the Indian High Commission in Colombo as per the order of the Madras high court which permitted his prayer made in 2014, wherein he had stated that he would not be able to go over to Chennai to stand trial in this false case since his life could be in danger—he had then also mentioned about the many attempts on his life by the LTTE considering him an enemy. Douglas, who heads the Eelam Peoples’ Democratic Party (EPDP), had also pleaded with the high court and again now before the sessions court that he should not be considered a proclaimed offender and the non-bailable warrant for his arrest be withdrawn. When the video-trial began at 10.40 Saturday morning, Douglas rose at the arrival of Judge M. Shanthi and remained standing throughout the hour-long hearing. He appeared calm and composed throughout. He had been waiting at the Indian High Commission for over an hour before the trial began, sources said. The prosecution case is that Douglas was among some cadres of the Eelam People’s Revolutionary Liberation Front (EPRLF)— of which he was the military wing commander at that time (he quit the group subsequently to launch his own EPDP and join the political mainstream in Sri Lanka in support of the Indo-Lanka Accord to give up arms)—at their Choolaimedu office when one of the men opened fire at some local people, killing one of them named Thirunavukarasu, on November 1, 1986. Douglas was cited as third accused among the ten listed in the police charge sheet. The prosecution obtained permission from the court to split the case and proceed against Douglas as the rest of the accused remained absconding. The EPDP leader has chosen to cooperate with the trial considering his open political status and the innings as minister in Colombo. His contention has been that he was not even present at the place of the rioting and shooting at Choolaimedu and arrived in an autorickshaw much later. 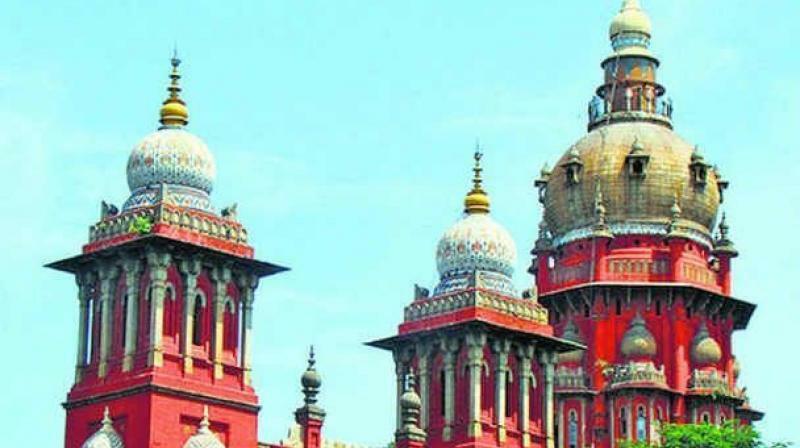 On noticing the media persons present in the court, Judge Shanthi ordered in-camera proceedings and allowed only the lawyers and other officials connected with the case to be present. As a result, the media had to depend on the post-trial briefing by Douglas’ lawyer Rajan and the assistant public prosecutor Ms M Prabavathi—the APP kept referring to the EPRLF cadres involved in the incident as ‘LTTE’. “We prayed the court to discharge Douglas from the murder and rioting charges”, counsel Rajan told reporters outside the court hall. “Douglas is innocent. The others, Selvanathan, Raghu and Selvam, all Sri Lankan Tamils, quarrelled with the local people at Thiruvalluvarpuram in Choolaimedu. When that angry mob of locals chased them, they ran into their house and brought out the weapon and one of them started shooting, in which Thirunavukarasu was killed. Douglas was not present”, the lawyer insisted. During the trial, the prosecution produced four witnesses to depose about the incident that happened three decades ago. While witnesses Gurumurthy and Veeramuthu claimed seeing Douglas shooting from the terrace of a house, the other two witnesses Panneerselvam and Mani said they were sure about Douglas’ presence there, said APP Prabavathi. The judge adjourned the case to March 15 for examination of the remaining witnesses. The prosecution has cited 40 persons as witnesses. National Informatics Centre, which arranged the videoconference trial through a secured loopline from Delhi, has recorded the entire proceedings on a laptop.